It is not possible to tell the complete story of this Holy Year without taking the risk of being superficial or forgetting some relevant events. This could happen because the Jubilee Year 1983 is a Holy Year during which ordinary life becomes extraordinary. It is a year of “God and men”. The presence of believers and pilgrims during this Jubilee was significant. They were all led by a need for hope and faith. Consequently, on 25 March 1983, and until the closing of the Jubilee, hundreds of thousands of Catholics visited the Tombs of Martyrs and the Desk of the Bishop of Rome in order to obtain the Sacrament of Penitence, the absolute Redemption. At the same time, the Pope chaired many events, where the Sacraments were celebrated, especially the Eucharist. The Pope met also many young people, workers, the sick who were trying to get back dialogue and their spirit of oration and communion. 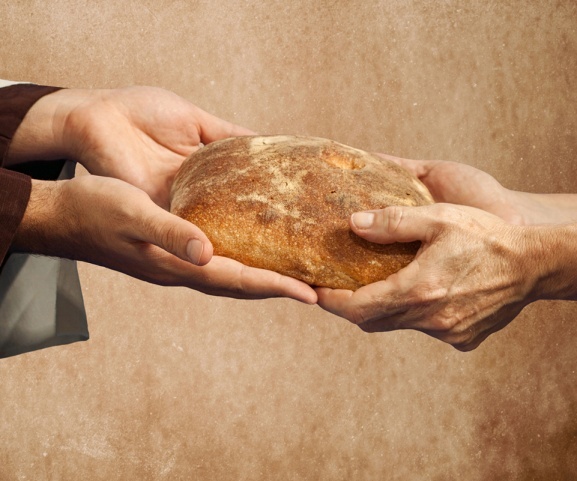 From these meetings, new occasion of volunteering were created and a call for grace, charity and penitence was launched. The presence, than, of young people with their “clean” faces and their freshness, gave an important signal against the dark side of everyday life, its passions and desperation. Singing and praying they represented the image of life, the Redemption of God and His Cross. The Seal “Aperite Portas Redemptori” was proclaimed on 6 January 1983. With this Seal, the then Pope John Paul II officially started the Year of Redemption. The same year, on 25 March, the Seal was followed by the ceremony opening the Holy Door. During this ceremony, the Pope reiterated that the Catholic Church has the responsibility to give back men and especially Christian the awareness of the Redemption, hope and safeness. Entering the Holy Door and Saint Peter represent the achievement of a grace and safeness dimension. 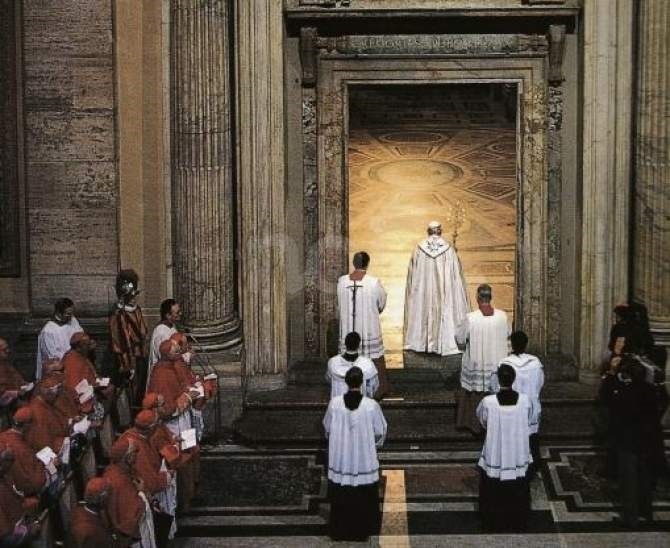 With the opening of the Holy Door we saw the beginning of the Jubilee of the Roman Clergy. It took a lot of work and participation by believers. The Pope closed the Jubilee on 22 April 1984 and so he ended the Holy Year of Redemption. After reading the traditional closing formula, the Pope gave the Cross of the Jubilee to some young people of different nationalities. An important and symbolic decision that the Pope took in order to remind young people that they are enough brave to bring the signs of Redemption throughout the world. In his closing speech, the Bishop of Rome focused his attention on the men’s necessity to open their “doors” to the Saviour, so that he can face and solve the harsh moment and growing conflicts of modern society. A society where, in addition to the desire of peace, there is a “febrile preparation of disruptive means of war”, where technic and scientific progress is in contrast with images of hunger and thirst affecting millions of children, women and men. As we can see, through the Pope’s words, the Jubilee Year 1983 launched an invitation to believers. They were invited to open their heart and be guided accepting regret and forgiveness from the Saviour in order to walk to a better and lively future. A future where young people, according to the Pope, will carry the Cross as a symbol of “God’s love for humanity” and they will announce that thanks to Jesu Christ’s death and redemption there could be “safeness and Redemption” for everyone.